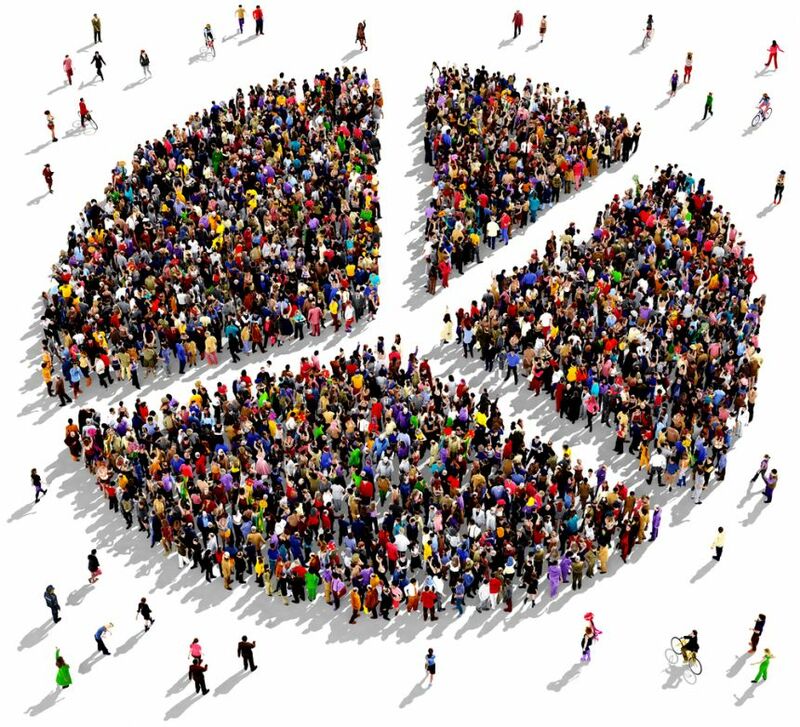 Segmentation is the process of defining and subdividing a large homogenous market into clearly identifiable segments having similar needs, wants, or demand characteristics. The importance of segmentation is that it allows a business to precisely reach a consumer with specific needs and wants. This enables the company to use resources more effectively, make better strategic marketing decisions and realize new revenue streams. Whose done it well? Here are 6 segmentation case studies that opened up new revenues for brands. 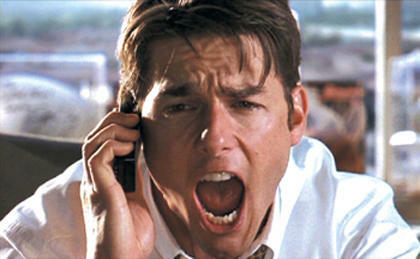 8% lift in email revenue overnight from personalised send time. 17% increase in total email response rate. 7.6% increase in post-click site engagement. CANON: The quick rise of Smartphone cameras was eclipsing the development of the digital camera market. The kids segment was an under-developed market. Canon was trying to extend its target segment from parents-to-be to parents with kids, targeting mainly 5-9 years old and their parents. Dubbed Kidictionary, a three months contest asked participants to interoperate an ordinary word in a creative way through photography, and then to share online and social media. In order to drive better engagement, the company planted the seed via key opinion bloggers and online advertising to draw eyeballs. The campaign website pulled in 3,559 (64.3% ) new visitors and 1,976 (35.7%) returning visitors. In total, the site recorded 5,535 visitors per month and over 180 visitors per day. Total submission on the “Kidictionary” reached 344 and 348 users.The campaign gained 40% market share on low-end DC compared to last year. Clickthrough rate is 410% higher than average. Contributes up to 13% of daily total revenue. 42% increase in clickthrough rates. LEGO: By carefully targeting its intended audiences and using the social media platforms where these consumers actively participate, the Lego Group was able to effectively reach its customers and offer them the kind of online experience. The company used six distinct personas to categorize their customers based on purchase and usage rates: These six personas ranged from consumers who were highly involved with the Lego Group’s products, such as those who helped shape product design to those having no experience with the brand. By actively engaging these people and giving them special attention, the Lego Group stood the best chance of encouraging them to be the company’s most ardent advocates. The Lego Group became the world’s fourth largest toy manufacturer, capturing approximately 6.9% of the global market share of toy sales and continues to sustain a high growth rate, as well as showing a net profit of about $688 million dollars for the year. ROYAL CANADIAN MINT: By identifying key characteristics of high-value new and existing customers, the Mint wanted to create custom models to develop effective up-sell and cross-sell strategies throughout the consumer lifecycle. By turning to PRIZM and TKTK the Mint was able to score the best unaddressed admail segments as having the highest concentrations of those prospects and top performing segments. These same insights also helped the mint develop messages that would resonate with those consumers. The data analytics helped the Mint add 140,000 new customers in a single campaign. The Mint was able to identify 15 percent more prospects for major coin purchases—and predicted higher revenues over the next year. To these case studies convince you of the effectiveness of market segmentation? Is your brand ready to realize new revenue streams through segmentation? 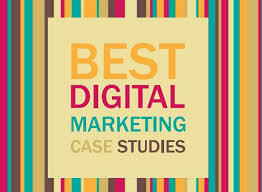 Digital marketing case studies show how businesses and brands produce great results with the benefits of digital targeting, media selection and data analytics. Here are examples of companies large and small, B2C and B2B to help spark great content, creative thinkingand execution at your organization, 12 inspiring digital marketing case studies that prove ROI. BRITISH TELECOM: Managed to save £2m per year by routing around 600,000 contacts per year through social media instead of its call centres. This also improved the customer experience, as these people preferred to deal with BT via social instead of phone or email. CLEAN & CLEAR: Used Snapchat to help raise awareness of its Morning Burst facial cleanser among females age 13 to 24. Clean & Clear partnered with Snapchat to run animated Snap Ads that reached the right people at the right time. Clean & Clear used Snapchat’s Lifestyle Categories to optimize its Snap Ads between Stories campaign and reach Snapchatters more likely to be interested in beauty. Clean & Clear’s Snap Ads and Filters campaign generated an 11.2% lift in Aided Awareness (5.5X higher than Millward Brown Norms) and a 7% lift in brand favorability (3.5X higher than Millward Brown Mobile Norms). CREME EGG: Switched ad spend from TV to Facebook in this example of digital marketing case studies. A seasonal social media campaign invited people to ‘Have a fling with Crème Egg’ on Facebook, created a long series of one-off posts that fed into an overall narrative across the three months. Facebook matched TV in driving brand consideration for a third of the cost increasing sales by 7% as a result. FISHER TANK: A welded steel tank constructed with a sales cycle of 12 months to several years. They used an Inbound Marketing approach would attract more (and more qualified) prospects to their website and give the company a chance to demonstrate how they think and what they do. They developed a more visually attractive site, and one that was a magnet for search engines. They included calls-to-action to download content of interest and value to prospects (primarily engineers, owners and facility and project managers) and integrated a blog with social sharing abilities, established company social media profiles, and optimized the site with the right long-tail keywords to get Fisher found in more searches. As a result, 1) website traffic increase by 119%, 2) quote request increased by 500% and 3) drove up the value of qualified sales opportunities by $3.4 million. HCC MEDICAL INSURANCE SERVICE: Infographics have been overused in recent years, but they’re still an effective medium for content marketing.HCC Medical Insurance Services (HCCMIS) managed to increase blog traffic and email revenue using an infographic aimed at its travel customers. Compared to its normal sales emails the infographic achieved a 96% lift in email revenue, while on Facebook the post that featured the graphic had more than 2,000 interactions compared to an average of 10.Overall HCCMIS’s blog post featuring the graphic achieved 3.9m views, of which 90% were new visitors. IBM: trained its sales people to use LinkedIn and Twitter, and also gave them access to a content calendar so they had relevant things to share. In this example of digital marketing case studies, the program resulted in 4x more sales year-on-year, though there are a few caveats to take into account. KLM: Noticed, from one of its employees, that a lot of people were asking about social payments, so they spoke to KLM’s IT and accounts teams to see if it was possible to set it up.This resulted in a new social payments tool, which cost €3,500 to setup and now takes €80,000 per week in sales. MANN FAMILY DENTAL: A comprehensive family care and cosmetic dentistry practice, wasn’t generating leads that would convert to patients. The creation of a blog on their website saw an immediate rise in phone calls. They used social media to strengthen and increase that organic referral web by engaging with their patients on Facebook. They focused on long tail keyword with local geographic terms. Mann Family Dental saw a: 1) 270% increase in web traffic 2) 10X increase in leads and a 3) 50% increase in patients generated from the website. NEUTROGENA: Used shopping basket data to identify competitor products loyal customers were already buying that were within their own range. Neutrogena knew they had a loyal base of customers, but 75% of shoppers were only buying items within a single segment of the Neutrogena range. They created a “product pairings” campaign delivered through video, banner ads and coupons to drive sampling. Consumers were targeted based on their personal buying habits. They saw an Increase in incremental sales with 18.1 million households reached and a £5.84 return on advertising spend (ROAS). NILLA WAFERS: used Facebook to reinvigorate its Nilla Wafers brand and boost sales. A study showed Nilla Wafers sales increased 9% in test market locations among consumers who saw Facebook ads versus a control group of consumers over the course of a five-month campaign. The Facebook ad campaign for Nilla Wafers also was able to reach 11.3 million households through 190 million total impressions (16.8 impressions per household). SNICKERS: Targeting fat-fingered typists, this clever search campaign from Snickers used misspelled words in Google keywords to capture hungry office workers’ attention during the working day. The chocolate bar brand managed to reach 500,000 people within just three days of launch, without any seeding and for less cost than bidding on brand keywords. W HOLLYWOOD: Knew their luxury condominiums were expertly-crafted. Vibrant homes in the L.A. spotlight are eye-catching to many people. They created a lead-generation strategy which included SEO and Facebook ads to drive engaged visitors to the site. Google AdWords campaigns targeted specific areas within the California region and other cities where qualified lead potential was determined. The campaign resulted in: 1) 115% increase in conversions from Google Adwords, 2) 63% increase in site visits from SEO and 3) 1,800 goal completions from Facebook. 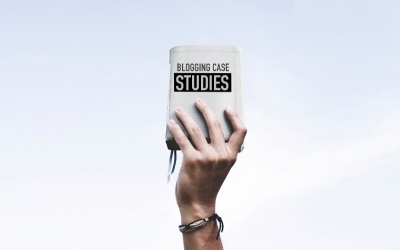 Do these digital marketing case studies inspire you? Did they prove ROI to your satisfaction? Could a creative digital marketing program help increase business in your organization?